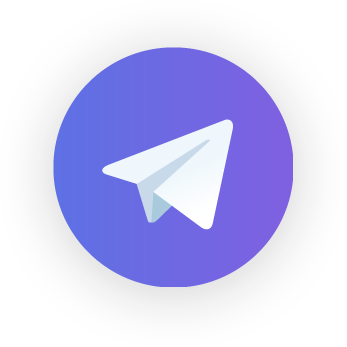 If you measure your Telegram channel, you strengthen its potential for growth. Metrics are what measures your crypto project’s performance and should be measured daily. Staying current with the community enables you to discern trends, remain agile with your strategy, and maneuver your project to success. By comparison, ignoring these data points leaves you blind. Use your metrics to inform the best decisions and guide you towards a successful ICO. To access this data, you’ll need an analytics bot. Telegram bots add much-needed functionality to the app, transforming the conversational interface into a tool for better understanding your community. The best analytics bots are pre-loaded with valuable metrics to help you measure growth, retention, and discover actionable insights to help you improve the channel experience for members. Growth means traction, which signals value to would-be investors. As you ramp towards your ICO, forward momentum is key to sustaining the confidence of your community. If the channel begins to stagnate, skittish members will lose interest and bail, which can lead to more abandonment. To avoid this scenario, take note of new group members, but also calculate your growth rate. Assigning a quantitative value to growth will help you determine if you’re targeting the right channels. For example, what was the impact of that recent article you published? Have your advertising efforts been effective? Which channel is bringing you the most traffic? After implementing a marketing initiative, watch for changes in membership volume. This will help you to clarify the most effective tactics in your growth strategy. To find your growth rate, identify the number of new users in a given period. Then divide this number by the total number of users at the start of the period. This percentage will show you how fast your ICO project is attracting new crypto investors. For easy access to the numbers, look to your analytics bot for a tally of both new members and total members. From here, you’re attuned to the real-time health of your community. With insights into member volume and movement in hand, you can stay nimble while sustaining forward progress. If conversation is steady in your channel, the community is excited about your project. But if channel engagement is flat, members are likely active elsewhere. Monitoring engagement is key to learning how best to create and sustain a meaningful dialogue with would-be investors. The number of new messages sent is the simplest way to assess member engagement. The more conversations that are being had, the more satisfied and sticky your community members. Adding an analytics bot to your channel will allow you to see daily reports about message volume. Engagement is also a key metric to determine what members find valuable. With routine updates sent to your phone, you can get granular about testing your engagement strategies. Say you just shared an article you wrote. What was the reach of this post? Did you see a surge of messages afterward? Looking at response rates means you can identify and optimize the ideal blend of content for your channel, whether it’s news, original articles, or curated materials. For insight about user-level engagement, track the average number of active users by hour. The number of user links, the average length of user messages, and user images can all be monitored to gauge involvement. Assessing how these metrics change through time will indicate the general health of your channel. Perhaps you’d like to know the level of engagement of just new members. To find this, divide the total number of new members by the total number of new messages. For greatest accuracy, first tally the average number of conversations and subtract this number from the new message. If new member engagement is declining, this suggests that your voice is lacking from the group, or perhaps you need to circulate more relevant or timely content to spike involvement. An upsurge in new member engagement is a signal that your community is flourishing. Lastly, identifying when your community is active will show you the best times to post to the group. If engagement spikes around lunch, share your most enticing content during this window. Being present with your community will help you maximize your presence and promote further engagement. Member volume is widely considered to be the critical metric to indicate the success of a crypto project. While you should expect a certain amount of churn, member retention is essential to growing your community. Assessing the churn rate of your members will provide clarity into the health of your channel, plus help you to determine the efficacy of your growth strategy. To calculate the churn rate, identify the total number of members lost within a given period of time. Divide this number by the total number of members you had at the beginning of the time period. This percentage will show you how fast you’re losing members – and provide an idea of a growth rate you need to maintain. The following graph shows the member distribution within Telegram channels for listed ICOs, as taken from icodrops.com in March 2018. The average number of Telegram members per ICO is 13,077, and the median is 8,632. Nearly 85% of ICOs have less than 20,000 members. Use this data to benchmark your goals for member retention. If compared to your growth rate, this will allow you to estimate the timeline for achieving critical mass for your ICO. If you have Telegram analytics, you can simply look to your app to see the number of churned users, the churn rate, how many times your bot has been blocked, and the number of admin deleted messages. With the ability to pinpoint unhappy group members, you can adjust your messaging to retain these members. While engagement volume is crucial, the engagement quality is also pivotal. After all, if your group members are unhappy, your investor pool will soon run dry. Sentiment analysis allows you to identify the tone of individual interactions and gauge the mood of the larger community. By monitoring keywords with an analytics bot, you can mitigate the risk of negative chatter while identifying trends and opportunities in real-time. When should you deploy a piece of content? Go for an airdrop? Announce a contest? Sentiment analysis gives you on-the-ground insight into how the group feels, helping you predict the impact of your growth strategy. Sentiment analysis also enables you to pinpoint bad actors and boot them from the group before they damage your reputation. With investor confidence so fragile, diminishing the flow of unfavorable messaging can be instrumental in retaining your membership. Likewise, your analytics bot can help to uncover your most valuable contributors. Invite these members to bounty programs or award gifts to cement the loyalty of your best micro-influencers. Metrics are a window into the health of your Telegram channel. For best effect, consult this data regularly to gain clarity into the performance of your ICO project. Since analytics bots provide ready information, use this data to better engage, retain and reward your community. Remember that where you measure, you improve.